Be sure you know your rights … and what could be destroyed by certain legislative proposals. 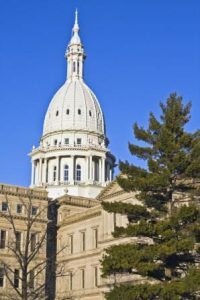 When it comes to the auto no-fault reform efforts currently ongoing in Lansing, there are several important things that Michigan residents need to consider. First, Michigan’s No-Fault Act offers the most generous auto insurance coverage in the country. Under the no-fault law, those who are injured in motor vehicle accidents (or motorcycle, semi-truck or pedestrian accidents involving a motor vehicle) will have their medical and rehabilitative care covered by their auto insurance company. More importantly, when it comes to receiving no-fault benefits, it does not matter who was “at fault” for the crash. Since the No-Fault Act was enacted in 1973, thousands of Michigan residents have not had to choose between paying their accident-related medical expenses versus other bills. In fact, the no-fault law has likely saved many crash survivors from financial ruin and bankruptcy. 1) House Bill 5013. House Bill 5013 was defeated in the Michigan House of Representatives on November 2, 2017, by a 45-63 vote. House Bill 5013 was touted as a way to slash auto insurance rates for Michigan consumers. However, the proposal did no such thing. Rather, it placed the desires of auto insurance companies above the needs of those who really matter – those who are seriously injured in Michigan auto accidents. Members of the Michigan House of Representatives recognized the bill’s pitfalls and voted it down on November 2, 2017. 2) The Fair and Affordable No-Fault Reform Package is a bipartisan auto no-fault reform effort supported by the Coalition Protecting Auto No-Fault, various legislators, and others. The proposal would bring much-needed, lasting improvements to the Michigan no-fault system. Better yet, the package has something in it for everyone: drivers, accident survivors, healthcare providers, and even insurance companies. House Bills 5517 and 5518 were proposed. These bills would end auto no-fault in Michigan as we know it and replace it with a pure tort liability system. This means drivers will only be able to sue the at-fault driver for all economic and non-economic losses instead of their own no-fault policy and are limited by the at-fault driver’s policy limits, which could be as low as $20,000. Senate Bills 1014 and 787 are passed which reduce benefits to the seriously injured and shift the cost of care onto Michigan taxpayers. These bills encourage senior citizens to opt out of their no-fault benefits in return for a policy with a $50,000 cap on all damages. 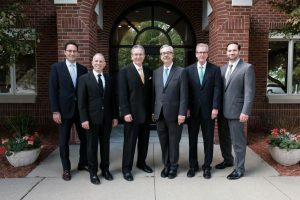 The Michigan car accident attorneys at the Sinas Dramis Law Firm have decades of experience handling cases under Michigan’s auto no-fault law. Every day, our lawyers work to protect and preserve the state’s unique no-fault insurance system. Notably, George Sinas, who leads our team of Lansing and Grand Rapids auto accident lawyers, is considered one of Michigan’s foremost authorities on the auto no-fault law, having written, lectured and taught extensively on the topic. In addition to representing persons injured in a Michigan car accident who are denied no-fault PIP benefits by their insurance carrier, our attorneys believe it is important to educate Michigan residents about their legal rights and the no-fault law. This is especially true when the rights of Michigan residents are at risk of being destroyed — for the benefit of insurance companies. The Fair and Affordable No-Fault Reform Package will bring lasting, responsible no-fault reform that provides real savings for drivers and for the state. The proposal is a comprehensive, bipartisan solution that addresses the core issues behind excessive auto insurance rates. It will not increase costs for Michigan taxpayers and does not strip away coverage for catastrophically injured accident victims. We encourage you to visit the Auto No-Fault Law Blog for regular updates on this bipartisan proposal. House Bill 5013 was inaccurately touted as the answer to Michigan’s high auto insurance rates. Like previous no-fault reform proposals, the measure called for dollar caps on benefits, thereby keeping catastrophically injured accident survivors from accessing the comprehensive care they need. If passed, it would have given insurance companies more more, while taking away the right of crash survivors. Fortunately, House Bill 5013 was defeated in the Michigan House on November 2, 2017. As the no-fault reform debate continues, there is unfortunately a lot of information (and misinformation) being tossed around. That’s why it’s crucial that Michigan residents understand their rights under the No-Fault Act, and discount any false claims about how the system works, how much it costs and what it provides. For this reason, we have a web page dedicated to explaining the truth about Michigan auto no-fault law — we hope you will find it helpful in separating fact from fiction. Copyright © 2019 Sinas Dramis Law Firm, George Sinas, Stephen Sinas.